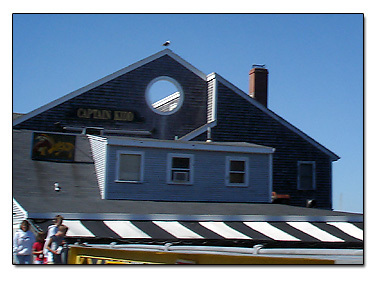 Here is some pictures of the Captain Kidd's restaurant. When we turned around and left the Martha's Vineyard ferry dock, we drove down the main street of this little shoreline town called Wood's Hole, and took some pictures of the restaurants there. 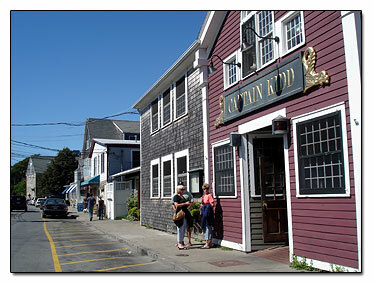 This restaurant is called the Captain Kidd Restaurant. Martha's Vineyard Ferry is to the left of the restaurant. Would we go back to this scenic little town called Wood's Hole? You bet we would!